Motion is reported each time it is detected between the From and To date and time. Fig. 43. Motion search report. (70% or more) usually mean quick motion or sudden, dramatic changes in lighting. 1. 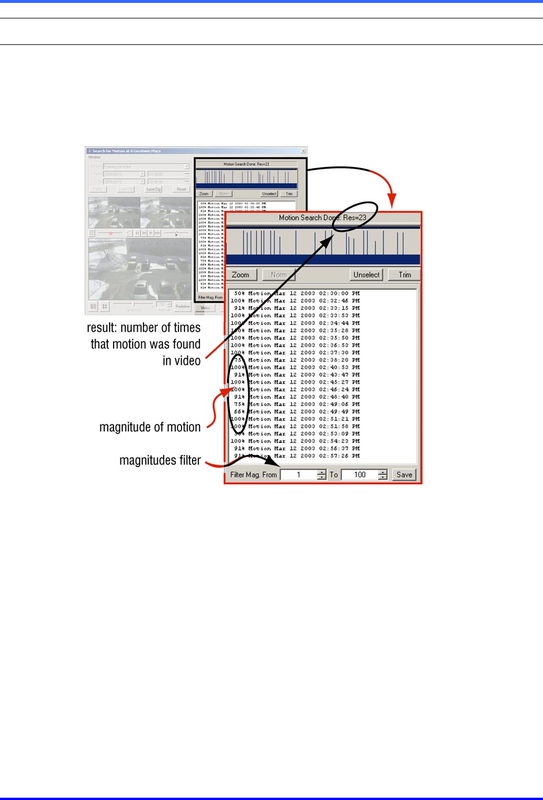 After obtaining a motion search report, click in the magnitude filter’s Filter Mag. From or To boxes, as needed. • clicking on the arrows at the right-hand side of the box.